My old stomping ground, but that stomping was horrific! Took a while for the story to break in the media, being discussed on other forums for days now. ^ In fact most of the story is being lifted straight from another forum where one BM witnessed the incident. Wonder if this will lead to another crackdown? ^ Hope not, will be there in a few weeks myself. - It happened in Ruby on Soi 6. THE Melbourne man killed in a bar fight in a Thai red light district was the victim of a “coward punch”, shocked friends have told news.com.au. Witnesses claimed on social media that Benjamin Robb was attacked by up to five men and his head repeatedly stomped on. But friends of Mr Robb have told news.com.au there was only one attacker and that he was the victim of a coward punch. The friend said witness reports that Mr Robb had his head stomped on and was targeted in a pack attack weren’t accurate and had upset the family. “This is a good Aussie guy who has been killed,” the friend said. Another source said there was only one man, an American, who attacked Mr Robb. The victim is believed to have been attacked at the Ruby Lounge in infamous red light district of Pattaya on Friday night. A witness claimed the Australian was thrown across the room, repeatedly punched and then had his head stomped on several times as he lay on the floor. 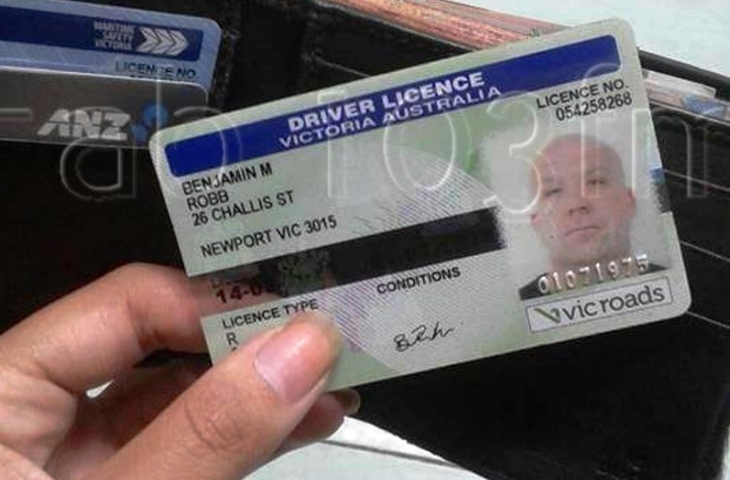 Thai media identified the victim as Mr Robb, who was aged in his 40s and lived in the suburb of Newport. He was rushed to Pattaya Memorial Hospital but his injuries were too severe and he died a few hours later. “He [the attacker] smashed his foot from above in the guys [victim’s] face at least 10-15 times with full force. That whole incident lasted probably 20 seconds,” a witness wrote on social media. The attack left the man unconscious and with “horrible” wounds to his face. Last edited by Hatari; 12th February 2018 at 16:10. The whole thing sounds horrific and the sad thing is a person has lost his life. There seems to be a few out there that cannot control their wild aggression. No need for that kind of behaviour. I hope it quieter in 2 weeks time when I am there. Yes, Jar came to my mind as well as the girl at the bar. What a horrible incident. The American guys life is about to change forever. How long would he be looking at? Not sure but way less than a drug conviction... Would be interesting to know but has to be a trial show remorse etc..
Just saw a news report on TV, never thought I would see Tuktik on national television! Seems the cameras were not working at the bar either. Ruby's was my hang out last month. All my dreams came true.. Apparently the American killed someone in the US when he was 18! His name and passport details were posted in a thai newspaper and on the web and someone found his case on google (an appeal to do with his Miranda rights - broadly if he was given a warning before being questioned by police). The guy confessed to murdering an 18 year old kid... He told the cops where the gun was, but it wasn't recovered. He told the cops where his own bloody clothes were, and they were recovered. On appeal, both his confession and the bloody clothes were deemed inadmissible, because the dopey cops farked up on Miranda. Now there is argument over whether the bloke stomped the Aussie or not. I guess his autopsy will reveal that one way or the other. The eyewitness to the bashing, who posted about the issue on social media, including the stomping, has gone to ground. Not willing to be involved. Can't say I know what I would do if I was in that position. The American turned himself in a few hours after the incident. The Aussie died early hours of Saturday Morning in Hospital. I am not clear on whether the American turned himself in PRIOR to the Aussie dying. I *think* that may be the case. Maybe, his line of thinking was he was only going to be answering a bar fight charge at that time.... who knows. So the bloke already has form... put a young bloke in the ground a few years ago, and has done it again. This time without a gun.... So, IMO, if it quacks like a duck..... you know the rest.